Gabriel Fauré’s lifetime covered an extraordinary musical span: Chopin was still composing at his birth; jazz, and the atonality of Schoenberg’s Second Viennese School were firmly established by the time of his death. Through this remarkable period of change he forged his own unique path, inheriting the Romanticism of Saint-Saëns (his teacher) and Gounod, but clearly presaging the Impressionism of Debussy and Ravel. His harmonic progress was derived from the study of church modes rather than Wagner—he was almost unique among his generation in not coming under the German’s influential musical spell. And he maintained a steadfast commitment to decidedly French musical traditions; most notably, the mélodie traverses his entire compositional career. The ‘Master of Charms’, as Debussy dismissively called him, lived through the years when the mélodie was at its height, and he in turn dominated its history, to such an extent that Ravel saw him as the saviour of French music from the dominance of the pervasive German Lied. 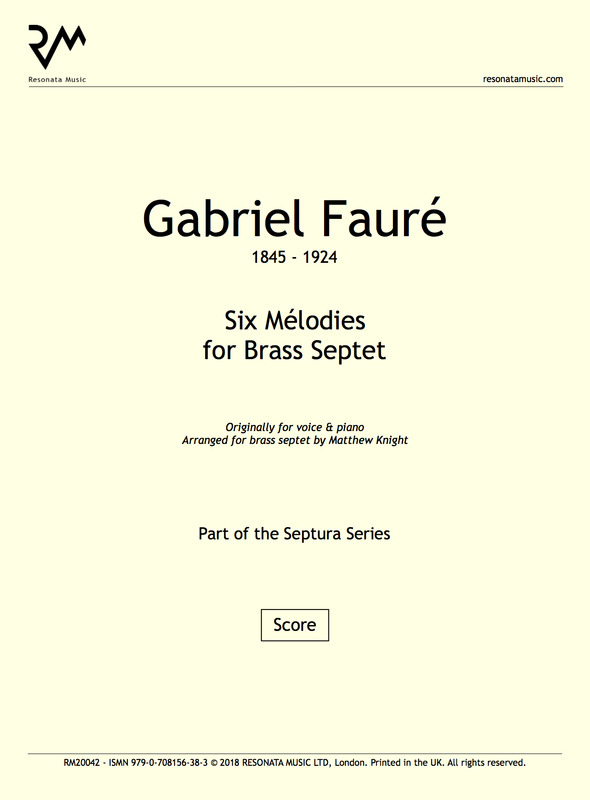 This collection includes six mélodies spanning the first 30 years of Fauré’s 60-year song writing output, and each is set for a different stand-out soloist from the septet. 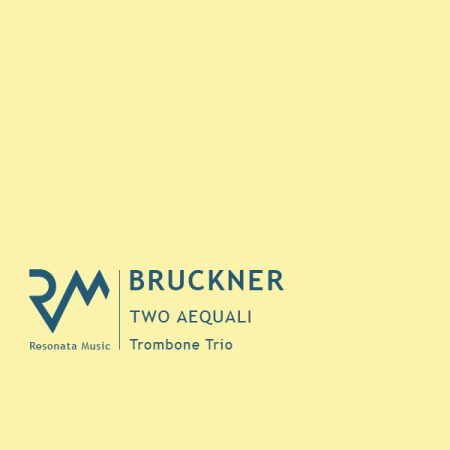 First comes a solo trombone, and one of the best-known songs, Après un rêve (1877). 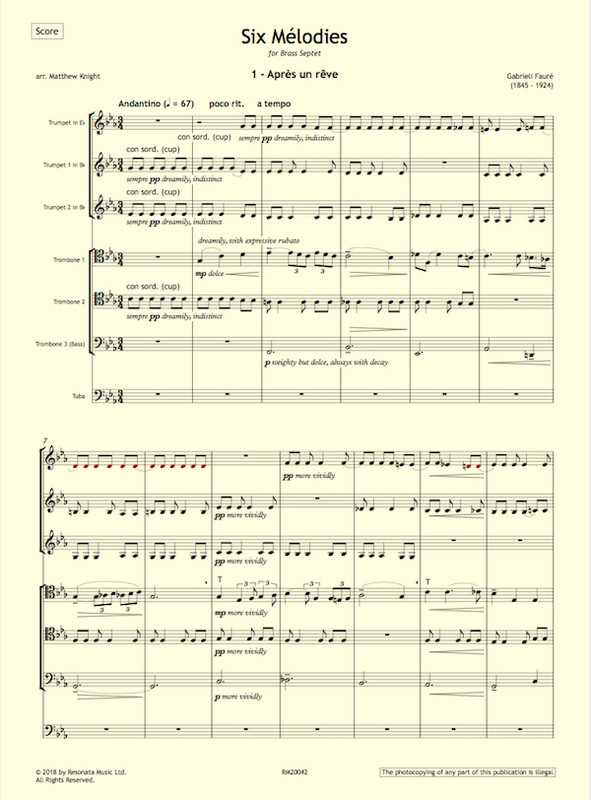 This wistful longing for a fleeting dream is set to a sublime tune, curiously difficult to sing—with its long lines and stretched melismas, it is almost instrumental in nature. Fauré’s very first mélodie was Le Papillon et la Fleur (1861), a farcical gem about a flower in love with a coquettish butterfly; here a teasing trumpet plays the accompanying butterfly, while the solo flower is sung by a forlorn flugelhorn. Le Secret (1880–81) is a spellbindingly beautiful blend of eroticism and melancholy, set for solo B flat trumpet. By contrast, Automne (1878), played by a solo trombone, is dark and brooding, with regret gradually turning to despair. 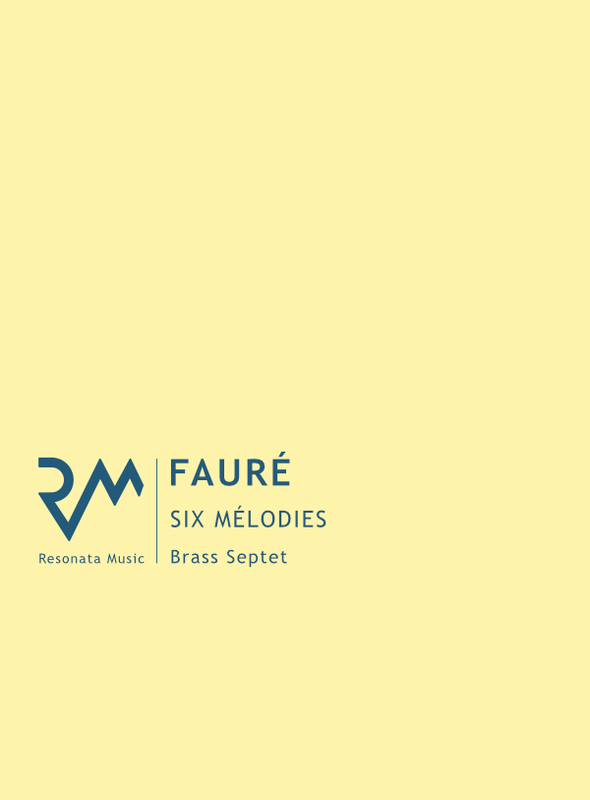 Fauré’s songs are for the most part so understated that the melodramatic Fleur jetée (1884) comes as a shock, with the relentless semiquaver accompaniment and impassioned melody, on E flat trumpet, delivering a merciless message: ‘Love perishes!’ Finally, a true masterpiece, Les Roses d’Ispahan (1884), a love song to the exotic Leïlah, is full of the fragrance and hazy heat of the desert, and played by a solo trombone, with a second trombone providing the scented blossoms of the accompaniment.